An accessible, faithful guide to the actual Christmas story. Let this book help you get to grips with the reality and purpose of Christmas, and introduce you to the person who is at the center of it all. - Trevin Wax, author of Counterfeit Gospels and Holy Subversion, Gospel Coalition blogger and Managing Editor of The Gospel Project. This is a great book for people who think they know the Christmas story, and for those who know that they don't. It's both creative and historical, simple and insightful, fresh and faithful. It's a great book, and I hope it is widely read and used. - Lizzy Smallwood, Author, speaker and Chair of the London Women’s Convention. This book blows the dust off the first Christmas story! It's fast paced, witty and will help anyone discover what really happened when Jesus was born. Get lots of copies and pass them on to as many people as you can. - Lee McMunn, Evangelist and church planter in Hull; presenter of Identity. A humorous, piercing and above all truthful book that challenges our preconceptions of Christmas. 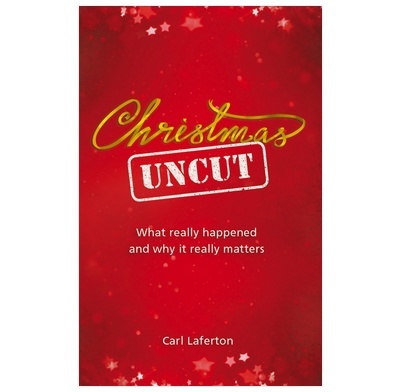 Carl writes with wit and a real grasp of modern minds to show us that Jesus can't stay in the manger. I really liked this book as I was looking for something non judgemental to use as gospel outreach. Nativity plays are of interest to parents, grabdparents and in general a source of laughter, We all have funny stories to tell ! From this common theme the author brings out quite deep teaching and theology in an easy attractive way. i would think it is really good to hand to those folk you are not sure quite where they stand. I sent for a load of christmas outreach and this is by far the best!